United States Drug Enforcement Agency (DEA) filed a motion of intent to classify the plant, Mitragyna speciosa, commonly known as Kratom in the US and as Thang in its native Thailand, as a schedule 1 controlled substance. Along with this shift from “dietary supplement” to “dangerous narcotic,” two alkaloids, Mitragynine and 7-Hydroxymitragynine, which are responsible for the psychoactive effects of the plant, will also be scheduled. This class of illegal substance is characterized by 1) a high potential for abuse and 2) a lack of evidence supporting a medical or, otherwise, therapeutic usage. Effective October of 2016, DEA will have made the possession and consumption of the plant and/or any of its constitutive compounds a crime on par with the manufaction and distribution of life-ruining chemicals, like heroin and methamphetamine. This decision will ignore the research published in the Journal of the American Osteopathic Association indicating the potential for analgesic application. This decision will fly in the face of thousands of individuals who in Kratom have found solace from their chronic pain and/or opioid addiction. This decision will effectively prohibit individuals from the benefits of Mitragyna speciosa, forcing them to seek out drugs with much higher abuse potentials and a wider array of negative side effects. But, aside from a desperate last grab for power by the people and entities propping up the War On Drugs, what are the circumstances that allowed this surprising action by DEA? And, what are the alternatives which DEA and public health agencies, like the Department of Health and Human Services, will propose in the absence of Kratom? According to DEA sources, between 2014 and 2016, 15 people died with kratom’s psychoactive alkaloids in their bloodsteam. Two of these deaths received coverage in the national media: Ian Mautner of Delray Beach, Florida and Guy Garcia of Denver, Colorado. In both cases, national media reports fixated on the role(s) kratom played in their passings. Without focusing too much on the individuals and their deaths, it is necessary we briefly examine the circumstance. Ian Mautner was 20 years old and a student at Florida State University when he threw himself to his death from an I-95 overpass. In local media reports, Ian’s mother, Linda Mautner, recalls, heartbroken, the changes she observed in Ian’s behavior in the months before his passing in this video, posted by The Palm Beach Post. 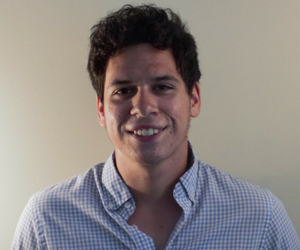 Ian had struggled with opioid addiction at age 16 after a dental procedure, and Ian’s mother had previously struggled with alcohol dependency before reaching recovery on her own. When Ian’s body was examined by a medical examiner, anti-depressants were also found in his bloodsteam. While we wish to respect the privacy of the family, we here at Fungiflora feel the need to clarify something that has gone unspoken in national media: Suicide is never a single issue problem. Substance abuse disorders, like addiction, is the result of underlying issues which are not being properly addressed and/or a genetic predisposition to substance dependency. Speciosa.org and the Kratom Education Alliance cover the issue of Ian Mautner’s suicide in more depth here and here. In the second case, Guy Garcia was working on his computer at home when he began to convulse and seize. Four days later, after many attempts by doctors to save him, Garcia was declared brain-dead. The medical examiner ruled the cause of death as “apparent acute mitragynine toxicity” on the sole basis of mitragynine being detected in Garcia’s blood. After this revelation, the case was closed and no further investigation was deemed warranted. However, if one were to perform a cursory search of the various harm reduction and drug education forums on the internet, one would discover that fatal kratom overdoses are few and far between–none, save the 15 alleged by DEA, have been reported in recent history. Many kratom users cite the near impossibility of ingesting fatal doses of kratom; some claim the body would reject this dose and trigger a “purge” response, voiding the stomach of the dose. Another question, though, lingers. If kratom didn’t cause Guy Garcia’s tonic-clonic seizure, then what did? Anyone who has some experience with drugs, illegal or legal, would suggest the possibility of adulterants in the product. Afterall, with popular drugs like MDA and MDMA, contamination is a huge concern: people who consume adulterated ecstasy are more likely to overdose on methamphetamine or a “bath salts” like compound than MDA or MDMA. So, why shouldn’t we consider the possibility of adulterated kratom? We should. In an article published by the Journal of Analytical Toxicology, an adulterated brand of kratom, called Krypton Kratom, contained a mu (opioid) receptor potentiator, O-Desmethyltramadol, a derivative of the drug, Tramadol, which is frequently prescribed for the treatment of pain. This tainted kratom, according to the Swedish researchers, contributed to the death of nine individuals. While exact cause of death could not be established, as all but one of the cases were found dead in their home, all cases presented some form of edema consistent with a seizure. Guy Garcia was a long time user of Kratom who, no doubt, had acquired some tolerance to the drug over his period of use. So, the random nature of his death seems out of the ordinary: why does someone with a history of safe kratom use suddenly overdose? They don’t unless there is a change to the substance they are ingesting or they deliberately meant to harm themselves. Seeing as Garcia was at home with his wife at the time of his seizure, the latter possibility is ruled out. It is our opinion that Guy Garcia, being a safe, responsible drug user, died accidentally as a result of consuming a tainted product. 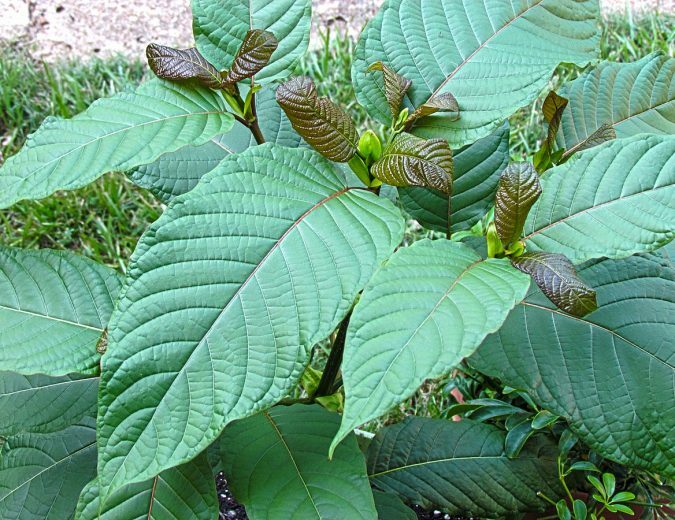 Assuming DEA is successful in their motion of intent and assuming the Department of Health and Human Services adds Mitragyna speciosa to Schedule 1, what will replace kratom? Well, it’s difficult to say for certain, but there’s always the likelihood that the world will go on as usual: prescribing addictive synthetic opioids to individuals with chronic pain disorders, using the prison system to house addicts away from their drugs of choice, and shifting the responsibility onto the families and loved ones who already work hard to help their afflicted family members. But, there’s also another possibility: the absorption of kratom into the pharmaceutical industry and the production of a synthetic mitragynine-like substance that can be prescribed by physicians for the profit of pharmaceutical companies. This project has actually been underway since August of 2008. Scientists at Josai International University synthesized a substance, known as “MGM-9,” from the chemical mitragynine. Scientists describe MGM-9 as being seven to 22 times more effective at relieving pain than morphine. Scientists also note that MGM-9 triggers “weak rewarding effects,” which seems to indicate that the drug is far less addictive than morphine. In 2014, the same scientists synthesized two more compounds from mitragynine’s sister compound, 7-hydroxymitragynine: MGM-15 and MGM-16. MGM-16 was, perhaps, the biggest success being reported as 240 times more effective than morphine at relieving pain. Still more, the naturally occurring compound, Speciofoline, found in Mitragyna speciosa, was patented in 1964 as part of a process for extracting and crystallizing the compound. This patent was filed by and granted to Smith Kline, of Glaxo Smith Kline, & French Laboratories. And, most insultingly, in 2010, individuals at the University of Massachusetts Medical School and the University of Mississippi applied for a patent on “methods for treating withdrawal from addictive compounds,” namely heroin and other opiates. As kratom believers across the country unite and endeavor to stop the September 30th ban on this medicinal plant, what are we to do for the thousands of heroin and opiate users who will become homeless this year, who will accidentally harm themselves via overdose this year, who will ultimately become a casualty of their fight against addiction? We here at Fungiflora wish we had an answer. Share this article with your friends, family and loved ones. Contact your state representatives and inform them why you believe they should do everything in their power to stop this ban. And, if it comes down to it, comrades, go out into the streets and make them take kratom from your gripping hands. I understand why families would want to blame kratom for the passing of their loved ones. It is part of the grieving process to shift blame onto other factors, because then a family may feel that the circumstances could have been changed. The truth of the matter is that we do not know the health history and the complete autopsy results of these young men. Consequently, we do not know medical conditions that pre-existed, nor do we know the contents of their blood or urine. Guy Garcia could have ingested other drugs which could have resulted in his seizure, or he may have had pre-existing medical conditions that predisposed him to seizures. In my opinion, the fact that these autopsy results have not surfaced means that there were other substances in his blood, or other health conditions that pre-existed, and if they were to surface, the stance his family took would no longer be valid. Think of it this way: if kratom was truly the primary reason for Guy Garcia’s death, the autopsy results would be public because it would be used to prove a point, that being kratom is deadly on its own. I know it sounds cold and heartless to say, but just because a family blames something for a person’s death isn’t an automatic truth. It sickens me that the press uses the grief and sadness of families to attempt to propagandize the American public. We need logical reasons for this stuff. Neither our laws nor our press follow logical premises in the modern era. Precisely, Bob! Ian Mautner’s autopsy results were published, revealing the presence of an SSRI and kratom in his blood system. So, the question is begged, if kratom was responsible for Guy Garcia’s death, why were his autopsy results published? Why hasn’t DEA released the names of the other 13 individuals who have allegedly perished as a result of kratom consumption? Why has the DEA refused to hear public testimony before instituting their ban on kratom? The current order of the world doesn’t function to the benefit of the people who live in it. It benefits those in control. Sadly, if we are to address the issues concerning the kratom ban, we need to address more than the kratom ban: we need to address the general state of the world. This is sad to make yet another plant illegal and to take away another natural medication.